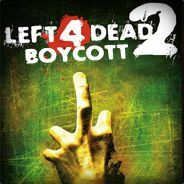 As of this posting, 13,160 Steam members have joined the Steam group L4D2 Boycott. 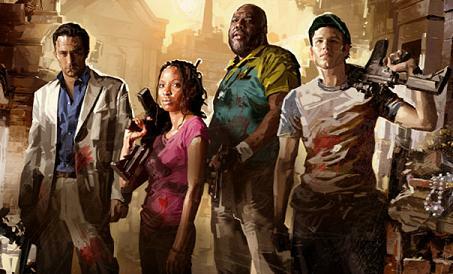 The boycott is in response to the recent announcement of sequel Left 4 Dead 2, if you didn't catch that. Developer Valve has always had a reputation for delivering quality content at the gamers' highest benefit, sometimes even giving content for free; now, it seems they are shattering their image, and fans are confused and upset. We've seen what happens when gamers cry out. 13,000 members of a makeshift petition is nothing to sneeze at: that's 13,000 less sales pledged. On top of the sheer numbers, L4D2 Boycott is creating quite a witty campaign, starting with the video at the bottom of this page -- if nothing else, these ballsy Valve (ex? )fans are gaining notoriety as a talented group of people who know what they want...and quite possibly: how to get it. See what I mean? Witty, if not altogether crass. Supposedly, the team that governs the Valve forums is not appreciative L4D2 Boycott's motivating speeches (yeah, right), as they've apparently removed any content pertaining to the petition/group. Of course, this claim originates from the group's Steam page, so take it with a grain of salt. Personally, I believe the claim -- I've done my share of trolling as well as moderating, and neither is ever right in the eyes of the other. But this is Valve's product we're talking about here; if nothing else, they've been generous and supportive of user-created mods and spin-offs of their intellectual properties. If I remember correctly, Counter-Strike was a mod that was turned into its own wildly popular entity, and its creator -- a young modder -- earning beaucoup cash when Valve published his ideas in an official retail package. As I write about this and wonder how our community here will react, I can't help but think of Burnout Paradise and the Burnout Party Pack DLC, which was the first piece of premium (costly) content following an impressive lineup of free goodies previous to it. It was said so in the article comments, the forum, and even the Co-Opticast: in general, we were glad that Criterion was taking the opportunity to grab some well-earned cash after all of the free content. So why is Valve different? What standard are we holding this developer to? Sound off in the comments/forum; we would like to read what you think about the situation. Do gamers really feel cheating or misled by Valve? Or is this a knee-jerk reaction to the loss of the last great developer of free, high-quality, post-release content?